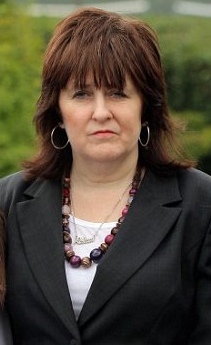 Sonia Oatley was born in Maesteg into a loving, close knit family. Her Dad, one of ten children, was a coalminer, and had been since the age of fourteen, while her Mam looked after her, her sister and her three brothers. At the age of sixteen she left school on the Friday and started work on the Monday in a factory making Italian fine porcelain figurines. From there she went on to do various jobs until she had the first of her three children. Rebecca was born in 1995, Jessica in 1997 and Jack in 2002. Sonia Oatley’s powerful memoir Bye Mam, I Love You has moved up to #25 in the Kindle bestseller chart. Sonia Oatley’s powerful memoir Bye Mam, I Love You already has more than a hundred five-star reviews, and remains in the Kindle top 20 bestsellers. 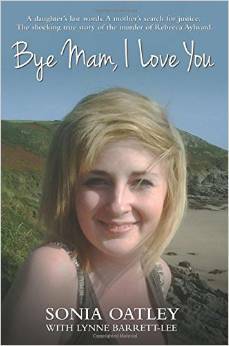 Sonia Oatley’s powerful new memoir Bye Mam, I Love You - A daughter’s last words. A mother’s search for justice. The shocking true story of the murder of Rebecca Aylward was the Kindle non-fiction #1 bestseller all weekend. Sonia Oatley’s powerful new memoir Bye Mam, I Love You - A daughter’s last words. A mother’s search for justice. The shocking true story of the murder of Rebecca Aylward is up to #53 in the Kindle bestseller list. The tragic events of Sonia Oatley’s shocking new memoir Bye Mam, I Love You were serialised this weekend in the Mail.